This model is 5' 8" and wears a size S. Their chest measures 32" and the waist 26". A sleek, strappy design that champions you through your workout. 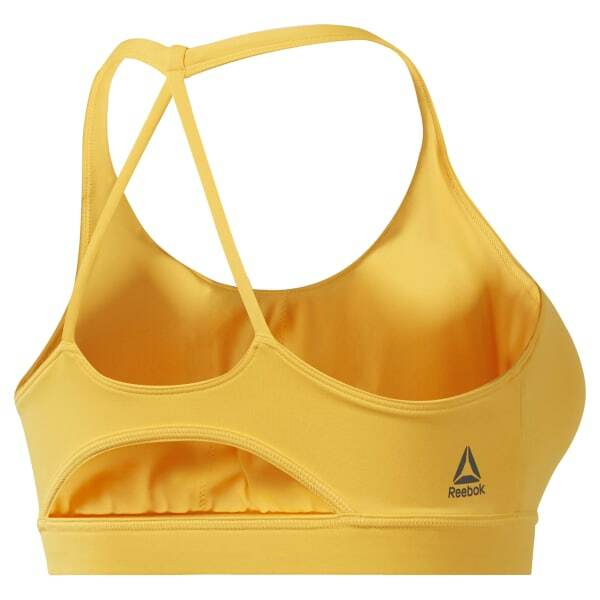 This women's sports bra is made with fast-drying, sweat-wicking fabric to keep you cool as your workout heats up. Slim straps with a keyhole in back encourage full range of motion. Removable pads let you customize shape and coverage.